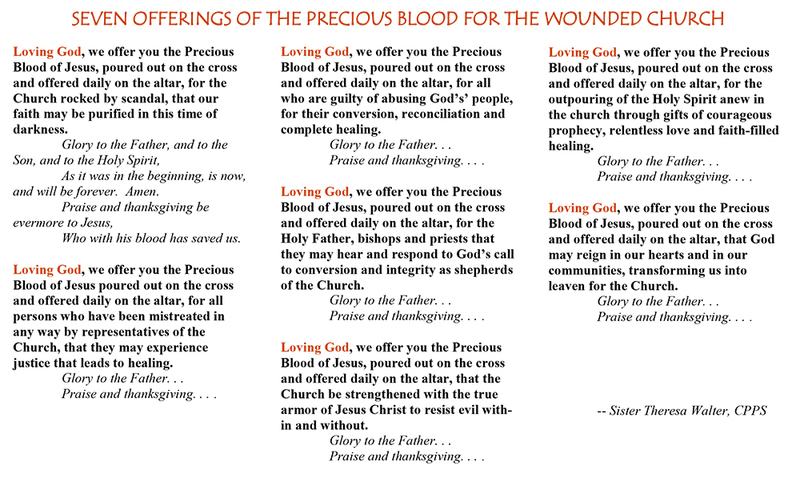 Prayer is a central part of our Precious Blood Spirituality. It helps us to express our love for God and gratitude for Christ’s immeasurable sacrifice on the Cross. Prayer is a channel to the Divine that, used alone or together, provides guidance and illuminates our hope for the world. Please click on the links provided to view some of our most beloved prayers. Acknowledgements: Sister Cordelia Gast, author and artist; Sister Canice Werner, research assistant; Sister Delphine Kolker, poetry of seasons; Sister Martha DeBrosse, proofreader; Sister Eileen Tomlinson, Mother Brunner picture; Mrs. Kathy Jacobs, computer.